Hydrobowl 2012 is this weekend hosted by Geneva, New York and run on beautiful Seneca Lake, one of the Finger Lakes. 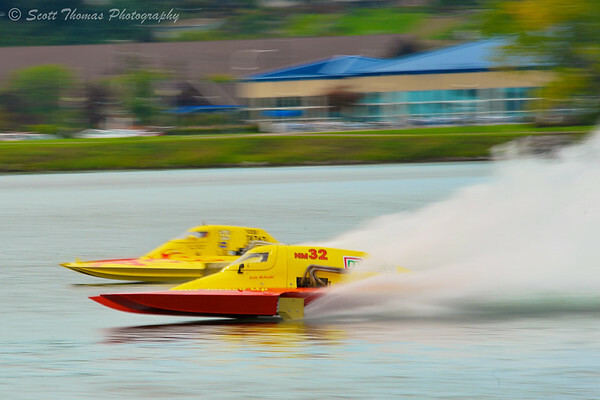 Time to get out the long sport lenses and photograph roostertails of the Inboard Hydroplane racing boats. 1.0 Liter Modified hydroplane’s roostertail follows behind while racing at the HydroBowl on Seneca Lake in Geneva, New York last year. Nikon D700/80-400VR, 1/1000s, f/5.6, ISO 450, EV +0.6, 400mm focal length. It will also give me a chance to capture the speed of the racing boats using my favorite in motion photography technique: Panning. Blue Devil 2.5 Liter Modified hydroplane racing at the HydroBowl on Seneca Lake in Geneva, New York. Nikon D700/80-400VR, 1/80s, f/14, ISO 200, EV +0.6, 400mm focal length. The best part is watching and photographing the competitive racing action from both the shore and an official’s boat out on the course. 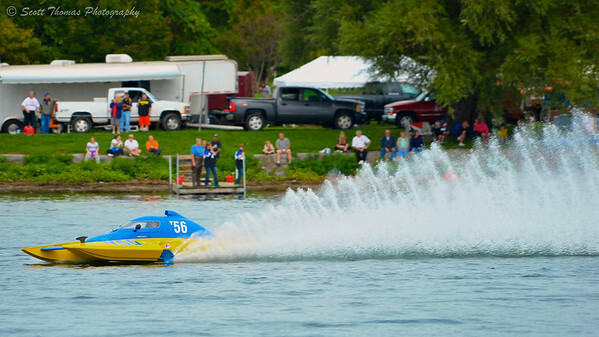 National Modified hydroplanes racing at HydroBowl on Seneca Lake in Geneva, New York. Nikon D700/80-400VR, 1/80s, f/22, ISO 200, EV +0.6, 260mm focal length. What are your plans for the first weekend of Autumn? 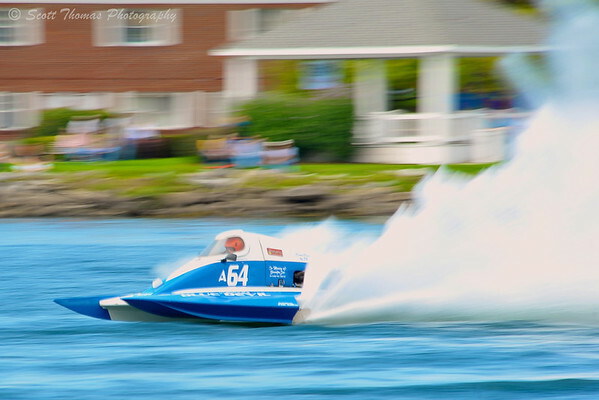 This entry was posted in Sports and tagged 1.0 liter, 2.5 liter, 80-400mm, finger lakes, geneva, hydrobowl, hydroplane, inboard, national modified, new york, nikon D700, nmh, panning, racing, seneca lake, vr, water. Bookmark the permalink. I like panning – like you do, and these are fine shots! My plan for the weekend is posting some more hunting lions from Tanzania – and making a post from good old Denmark about the “End of Summer” ;-). Btw – we say over here, that the end of summer is August 31, and September 1 is the first day of autumn…. Have been enjoying your Africa trip photos. Great stuff! I will be panning a lot this weekend as I will be covering two days this year. Only went to one last year. I go by the calendar for the change of seasons. The weather here is definitely saying summer is over though.